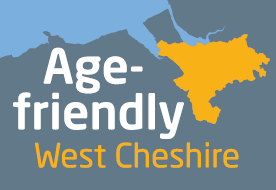 In Cheshire West and Chester, we want to ensure longer life expectancy is matched by quality of life; enabling people to live active, healthier and fulfilling, independent lives, for as long as possible. Our approach has been developed with, and shaped by, local people and communities and endorsed by the borough’s Health and Wellbeing Board. It is our aim to make the Borough a great place to grow older for everyone, valuing people of all ages and bringing generations together. The Council’s vision is to enable all our residents, communities and the local economy to thrive. Adult Social Care and Health services are being redesigned to enable people to lead the best lives possible and become more independent. The Council’s newly commissioned ‘Pathfinder’ service co-designed with residents and partners, takes an innovative approach to service delivery, community development and wellbeing. It provides a single point of access to over 26 early intervention and prevention services to enable older and vulnerable people to remain independent for longer. Our two Clinical Commissioning Groups who buy health-related services on behalf of the population are both are working actively to improve health and wellbeing outcomes for older people. The Older Peoples Network (OPN) has over 500 members and is directly supported by the council through funding and administrative support. It is independent of the council and aims to listen to the views of older people, making the most of their knowledge and experience on the things that matter most to them. social care services for older people. – Age UK Cheshire is helping to ensure that all older people across Cheshire have the opportunity to enjoy a better later life. – Brightlife, a partnership-based project, led through Age UK Cheshire and funded by the Big Lottery. Brightlife is testing and supporting innovative ways of reducing social isolation and loneliness amongst the over 50’s¬ to improve the lives of older people. – The Corporate Disability Access Forum (CDAF) established in 2013 is a partnership of local and regional disability organisations and the Council. The forum played a pivotal role in the City of Chester winning the 2017 Access City Award; an initiative to promote accessibility in the urban environment for Europe’s growing population of older people and people with disabilities. – The West Cheshire Dementia Action Alliance supported by the Alzheimer’s Society, brings people and organisations together from across the borough to take action to improve the lives of people affected by dementia.